Monkey�s fist knot rope dog tug toys are constructed from tough cotton rope, knotted into a heavy ball and attached to a long handle for tugging or throwing. 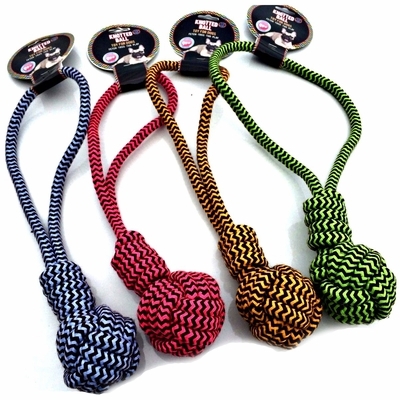 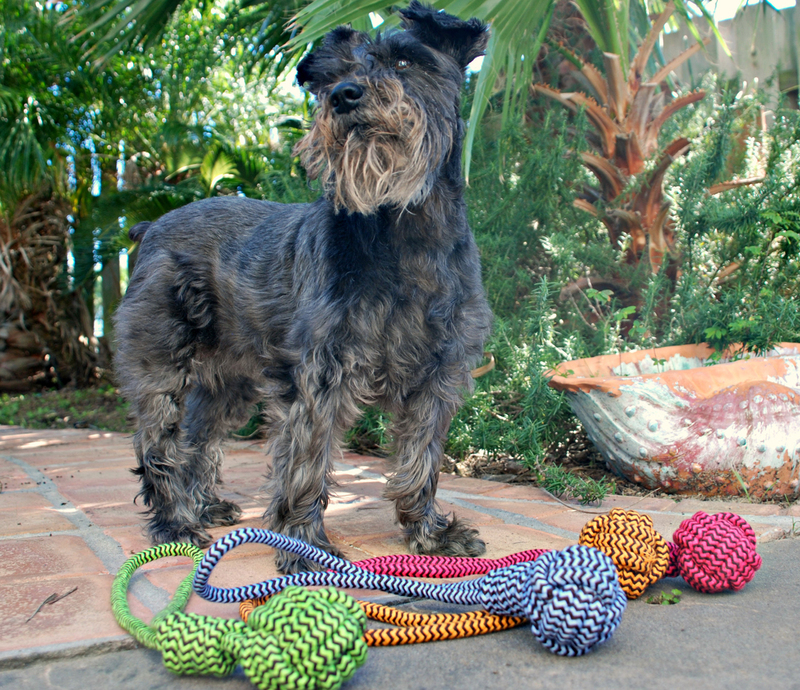 These dog rope toys with a knotted ball on the end are designed around the concept of an old rugged knot for sailors. 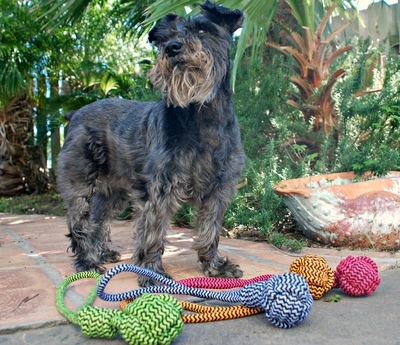 The knotted monkey's fist ball on the end is ideal for chewers and will stand chewers. 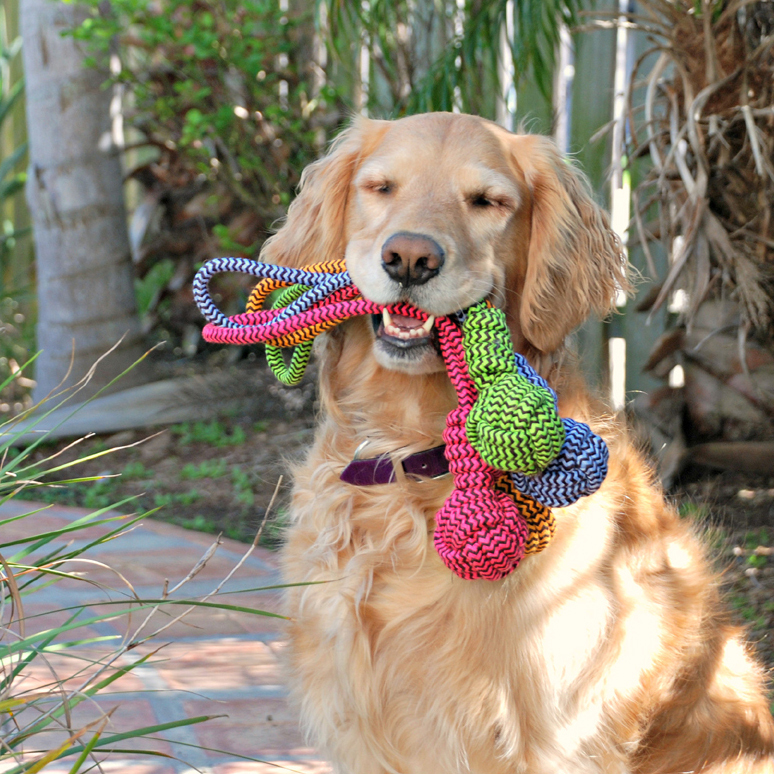 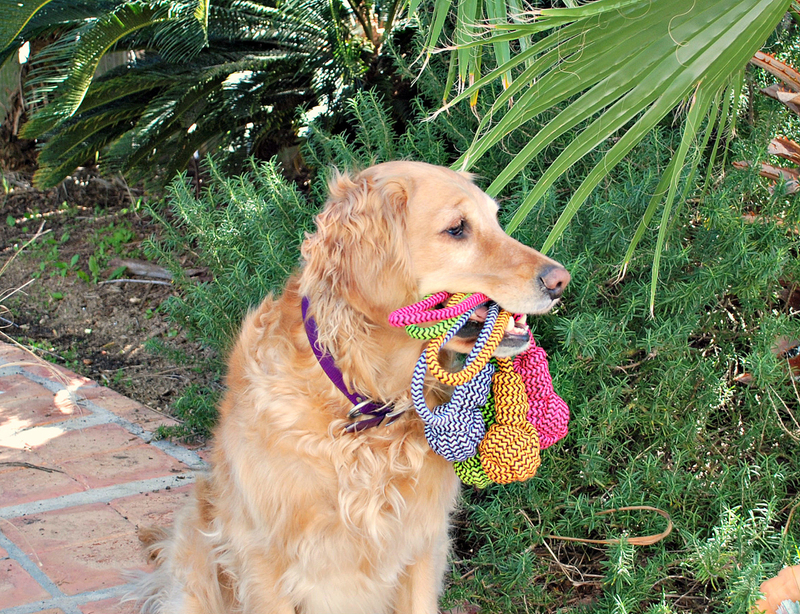 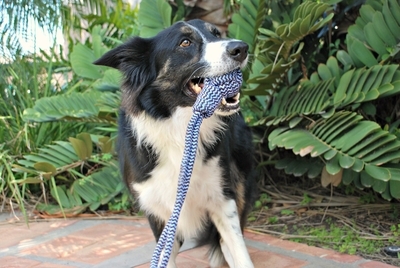 The twisted rope dog toy helps to clean teeth for improved oral hygiene. 16 Inches Long with multiple colors to choose from. 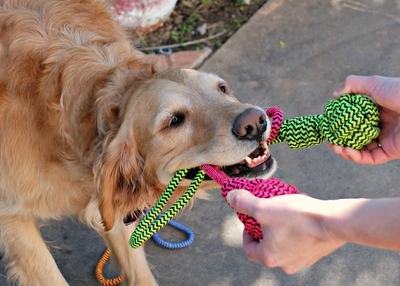 Orange knotted ball dog toy, pink knotted ball tug toy, blue rope chew toy, or green monkey fist dog toys.